Ng Design & Renovation added 2 photos in Fish Pond Category. Ng Design & Renovation added new photo in Window Grill Category. Ng Design & Renovation added 8 photos in Main Gate Category. Ng Design & Renovation added 6 photos to the album - Wrought Iron Gate. Ng Design & Renovation added 2 photos to the album - Awning Works. Ng Design & Renovation added 2 photos to the album - Fish Pond. Ng Design & Renovation added 3 photos to the album - Balcony Extension. Ng Design & Renovation added 3 photos in Staircase Glass Category. Ng Design & Renovation added 3 photos to the album - Staircase Glass. 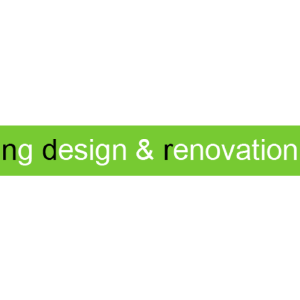 Ng Design & Renovation added 2 photos to the album - Renovation Work. Ng Design & Renovation added 6 photos to the album - Renovation Works. Ng Design & Renovation added 2 photos to the album - House Renovation at Puchong. Ng Design & Renovation added 3 photos to the album - Renovation House at Klang, Selangor. Ng Design & Renovation added 2 photos to the album - Kitchen Renovation at Bukit Tinggi, Klang. Address: 41, Lorong Batu Nilam 35A, Bandar Bukit Tinggi 2, 41200 Klang, Selangor, Malaysia.